1. I have a terror of mispronoucing place names - regular viewers will recall my traumas at Trerice last year - and naturally I got Rowallane completely wrong. "I'm off to Roe-a-lane Garden tomorrow!" 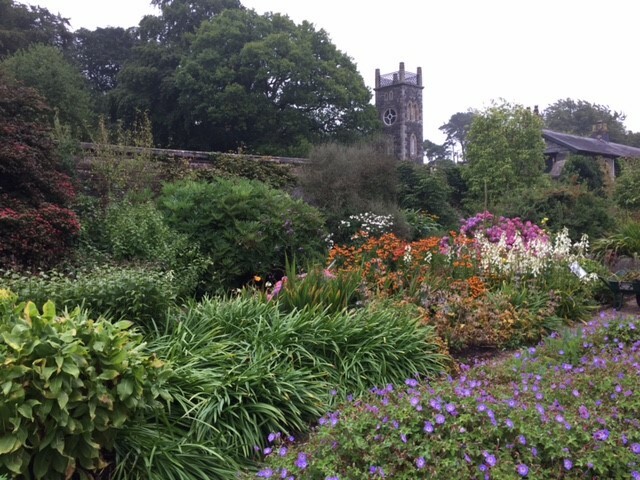 I trilled to the woman at Castle Ward, who nobly didn't bat an eyelid but said "Oh, it's lovely at Roe-Alan!" 2. It's a garden. Whenever I see a nice garden, I hear Alan Titchmarsh's voice saying "and the gentle willow provides shelter for the charming crocuses that will surely peep through in the Spring" while a trumpet parps away beguilingly in the background, but my trusty inner cynic is always on hard to shout "it took 15 hours of back-breaking work to plant those bulbs". I will not be lulled into a false sense of security that I could be any good at gardening. 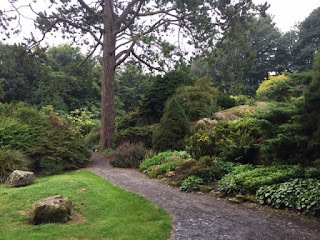 But then the rest of it is more of a rambling estate of trees and shrubs and enclosed areas with boulders and other natural features. I kept expecting to come across a flock of sheep. But onto the scone. 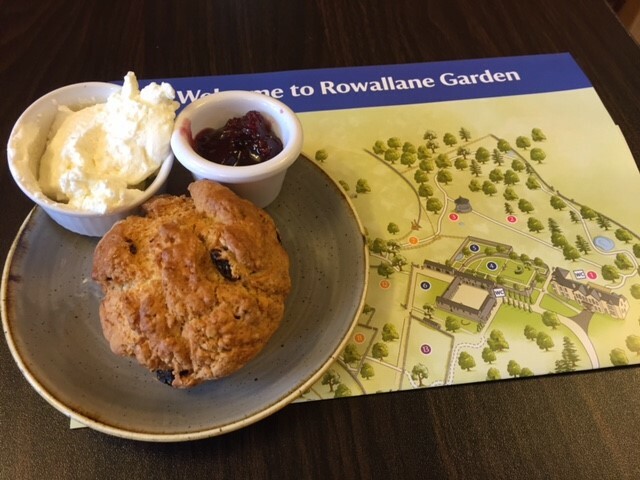 Rowallane is the headquarters of the National Trust in Northern Ireland and so I was expecting the scones to be absolutely tip-top. In fact, it was a very surprising scone. Firstly, it was the cheapest cream tea in NT Scone Blog history - I think it was £2.75. Secondly, the cream was whipped cream and it was available in a big pot by the milk, as was the jam. The scone itself was well-baked but very tasty. I ate the whole thing, which is always a good sign. Oh dear Lord - when WILL people realise that whipped cream is diabolica for a cream tea? When you spread the cream over the jam (in the correct and approved manner), it knocks all the air out and the cream just collapses in a wet sort of whiteness. Round where I live (North Yorkshire) they don't realise that clotted cream is a 'thing' and often advertise 'clotted cream teas' when what they mean is 'insufficiently whipped cream teas'.